A classroom with a singular focus to provide all learners with a interactive space. The room was updated in 2013 with a generous donation from the Steelcase who truly transformed the space into a flexible modern day classroom. 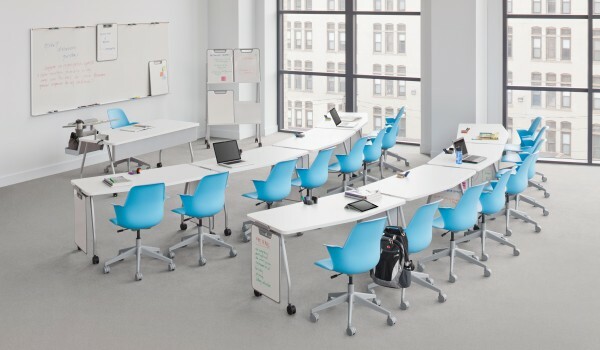 Using Steelcase’s flexible Verb line, instructors can seamlessly adapt the learning space from a collaborative group setting to an individualized lecture/testing environment. 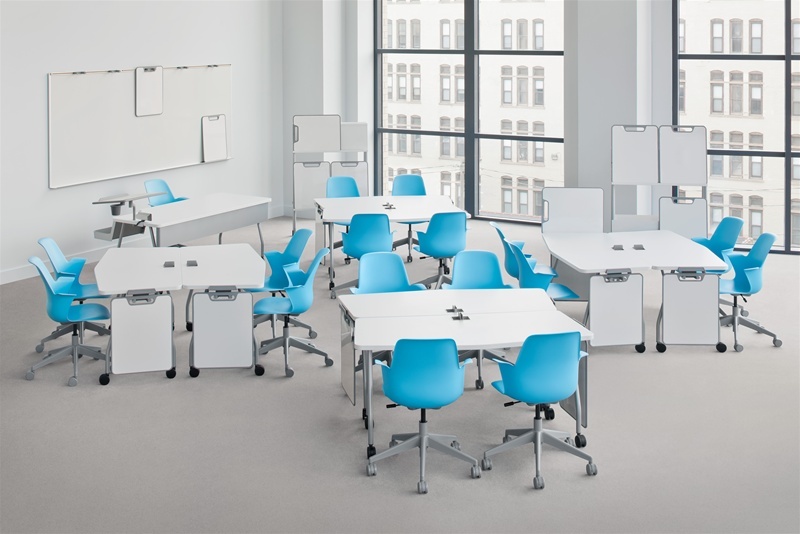 The Verb Collection features chevron tables and Node chairs that accommodate a variety of classroom layouts. The Collection’s signature individual whiteboards are the foundation for collaboration, display and presentation. The unique marriage of furniture and instructional tools within this Collection transform both the space and the instructional delivery. Steelcase Education is focused on creating the most effective, regarding and inspiring active learning environments to meet the evolving needs of students and educators. Steelcase provides an evidence-based approach to their design strategy that includes best practices, innovative research, evaluation and data-driven assessment of the design spaces implemented at each institution. 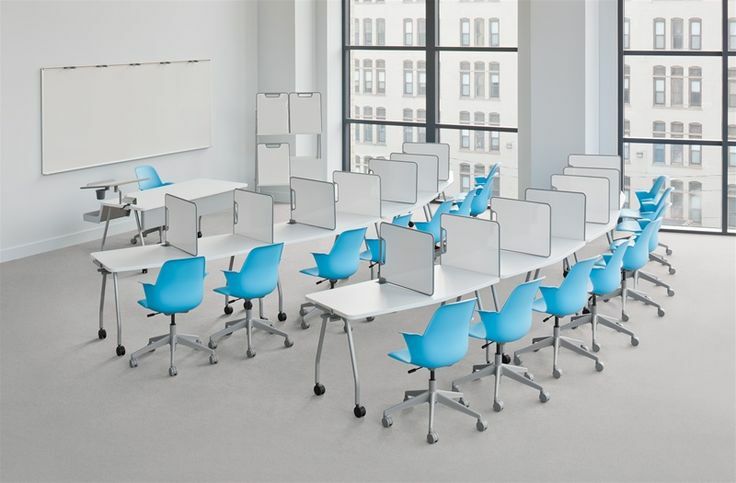 Steelcase’s Verb provides an integrated collection of classroom furniture designed to support a full range of teaching and learning styles that engage the learners. 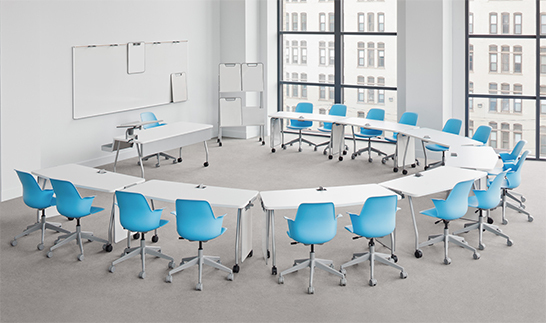 All Verb furniture is lightweight and outfitted with casters to facilitate rapid changes in room configurations. The Verb furniture design is easily moveable to support the focus of any lesson design. Collaborative Groups: Design your learning space for your lesson needs. Use groups for creating problem-based learning experiences. Lecture and Testing: With Verb you have the flexibility to move the tables easily without disruption to move from collaborative groups to lecture and testing seamlessly. Use the whiteboard to create privacy.